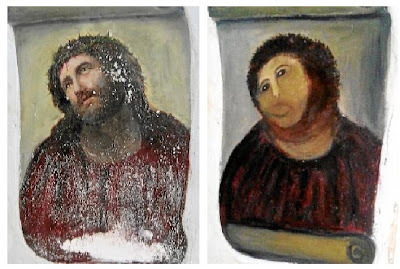 (Via) Remember the world's worst art restoration project story that I mentioned a few days ago? The 80-year-old Spanish woman responsible for what some are calling history's worst restoration of a work of art spoke out in the media on Wednesday to defend her actions. Now apparently, the church where this "restoration" took place has become a tourist attraction!